Are you ready for another amazing release? We are only five days away from the big day! All the new Stamps and Die-namics will be available on Tuesday, February 6 at 9:00 pm EDT. Be sure to check out the MFT Blog to see all the new items being revealed today. Don't forget to leave a comment on the MFT Blog countdown posts, YOU could win one of the five $75.00 gift vouchers. I have a couple of cards to share with you today, both feature the new Wish Die-namics. I love creating cards with word dies, and this one is definitely a new favorite. I'm still having fun with Alcohol Inks, I used one sheet of Yupo paper to create the colorful paper on both of these cards. 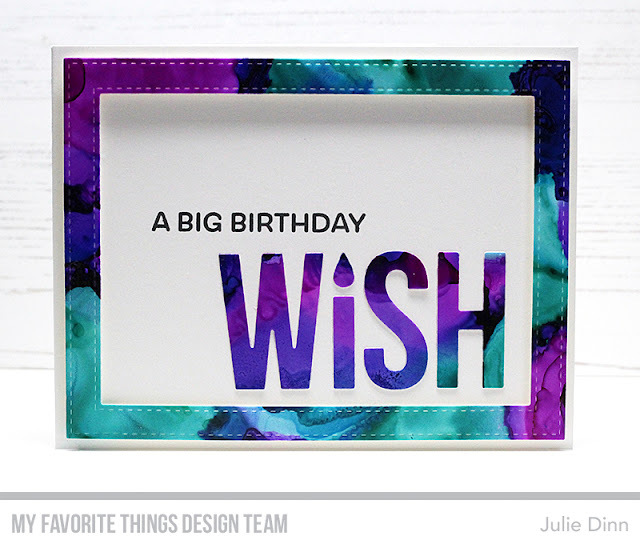 On this first card, I paired the Wish Die-namics with a sentiment from the Big Birthday Wishes stamp set. 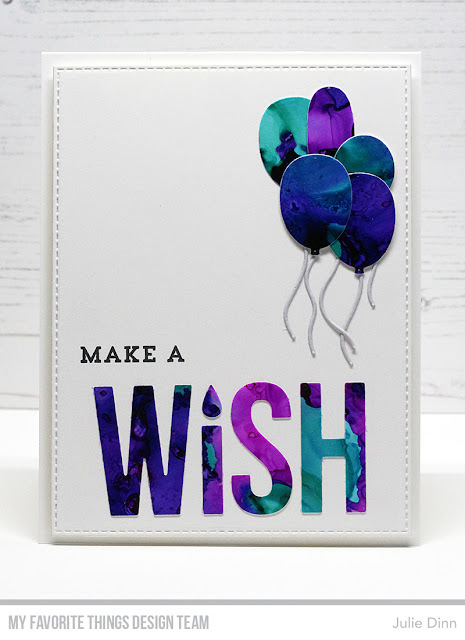 For my second card, I added a balloon bouquet and a sentiment from the Make a Wish stamp set. Such a beautiful array of colours in your yupo paper, makes really fantastic cards either way you've used it. Love the fact you used this as grown up card and not so kidsy cute. Needed to see that it could be used that way and still be effective. Love your background creation ! Amazing colors that might get me to use alcohol ink- two beautiful cards! Beautiful colors on your alcohol in BG! I love that new WISH die too! Both of these cards are soooo gorgeous ! The color combo is fantastic ! I love your cards there are stunning!!! AWESOME alcohol ink cards, I love this big WISH!